Rumors are flying that China, the world’s second largest economy, is on the brink of their own Lehman Event. A “Lehman Event” is a term for the spark that ignites a catastrophic economic crash. It’s an obvious reference to Lehman Brothers, as it was their record-setting bankruptcy that sparked the 2008 economic meltdown and lingering recession. …and quite possibly lead to the largest economic crash the world has ever seen. EVG Research Team here to tell you what you need to know about the great crash of China. There’s an eerie scene in the 2001 movie “Vanilla Sky” where Tom Cruise drives through Times Square in Manhattan. Normally Times Square is the most visited place on earth, with more than 360,000 people walking through daily. It’s incredibly crowded day and night. But this time, there’s not a person in sight. Times Square is completely empty, it’s a ghost town, and it scares Cruise’s character out of his wits. It’s a mystifying scene in the movie, but it’s a reality in China today. On the coastal city of Tianjin, magnificent skyscrapers tower over the ocean. They were built as a replica of Manhattan's famous skyline. And now they’re abandoned, leaving behind one of China’s many ghost towns. Just like the United States in 2008, China’s real estate market has been the victim of easy money. Their central bank has been printing money at a pace more than 3 times faster than the United States’ Federal Reserve. 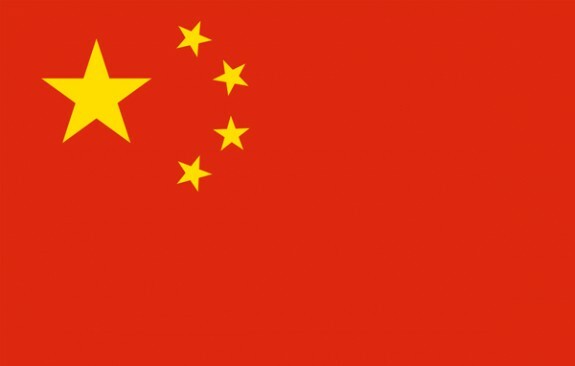 In a year that the U.S. printed just over $1 trillion, China printed $3.6 trillion. That money almost always goes directly to banks, who then lend it out for misguided construction projects that litter the country with ghost towns. Then there’s the shadow banking system, which lets borrowers use one piece of collateral for several different loans… creating debt on top of debt to fund these ghost towns… and leaving lenders to fight over the pieces in the case of a default. All this new money and debt created a real estate boom just like the one in the U.S, complete with absurd “zero down payment” mortgages. But the easy money only gave the illusion of massive demand for new houses. When the cheap money dried up, so did the demand. Now 52.5 million homes are vacant in China. That’s 1 in 5 houses. All the vacant homes are driving prices down fast, especially because speculative investors are eager to get rid of their properties before the bubble completely bursts. The falling prices are leaving new homeowners underwater, just like what happened in the U.S.
And the big banks stand to take a huge loss, just like what happened in the U.S.
You see, when U.S. banks were in trouble there was no way to bail them out besides the money-printing press. As the largest debtor nation in history, the U.S. simply didn’t have the funds. China, however, is a creditor nation. They have lent the U.S. more than $1 trillion by purchasing their Treasury bills. If China were to bail out their own troubled banks, which is likely, economist Gonzalo Lira theorizes they will sell off all their Treasury bills to pay for it. Selling Treasury bills is how the U.S. continues to take on new debt. And as recent political debates have shown, the U.S. will do most anything to go further into debt. But if China stops buying Treasury bills, and instead floods the market with them, their value will drop like a stone. Getting other countries to buy our new Treasury bills, when old Treasury bills are available at rock bottom prices, will be very difficult. So how will the United States continue to take on more debt? Janet Yellen of the Federal Reserve may have to double-down on the money-printing to buy the Treasury bills instead. This, ladies and gentleman, is the most direct path to high inflation, if not hyperinflation. Unfortunately, Treasury Bills and bonds, i.e. debt, have been seen as conservative investments for decades. If you tell your financial advisor that you want to play it safe, that’s where they’ll point you. But if China does sell off all their U.S. debt, it could be a scary place to have your money. 2014 just doesn’t seem like the safest time to be invested in debt. That’s why the rich invest differently. Not every member of the rich, but a good many of them, and certainly those in the EVG Rolodex, don’t have to worry about China’s economic crash because they invest differently than the middle class. They know about the little-known investment account that returns an average 5% per year, never loses money, and allows you to cash-out tax-free when you retire. Walt Disney, JC Penney, and the super-rich Rothschild and Rockefeller families all took advantage of this special account. So did past Presidents John F Kennedy, Taft, Cleveland, McKinley, Harding, Roosevelt, Senator McCain, and many others. The rich also know Warren Buffett’s trick for earning a quick $7.5 million in the stock market for making a promise he was never forced to keep… and without buying a single stock. And they also know the perfect defense against stock market crashes. This tactic allowed Mark Cuban to stay a billionaire even though all his wealth was in the stock market when the dot-com stock bubble burst. You can learn about all of these wealth strategies by becoming a member of The Elevation Group. So far, over 50,000 paying members have joined us to learn these wealth strategies of the rich. Many of our members have become our biggest champions and supporters, helping us spread this movement worldwide. And we’re now known as the fastest growing financial education company for entrepreneurs on the planet.